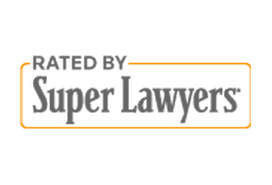 The highest distinction that a lawyer can achieve from The Martindale-Hubbell® Peer Review Ratings™ is AV Preeminent. According to Martindale-Hubbell®, “an elite group of approximately 10 percent of all attorneys holds an AV Preeminent Rating, a designation trusted worldwide by consumers and referrers of legal services.” The “A” portion indicates the highest possible rating for legal ability, while the “V” portion indicates adherence to the highest standard of professional conduct. All of our firm’s Members have received, from their peers, the distinguished rating of AV Preeminent. Our firm is also an invited Member of the Claims and Litigation Management Alliance (formerly Council on Litigation Management), a national organization that recognizes commitment to professional excellence and integrity in the representation of our clients. Established in 1896, Chelus Herdzik Speyer & Monte PC is the 3rd oldest firm in Western New York. While the firm continues to evolve, it has never changed in its mission of providing expert, caring and cutting-edge legal services. The firm has maintained a commitment to public service since its inception. Founding member, Clark Timerman was active in politics at the county and state levels and was a First Deputy Comptroller for New York State. Past firm Members served as a Supreme Court Justice, an Appellate Division Presiding Justice, an Appellate Division Justice, and a Trial Justice. This service continues with our current attorneys who serve as a Village Attorney, Town Attorney, and a Fire District Attorney. AV Peer review ratings, industry recognition of excellence, and civic service coupled with the firm’s years of innovation, experience, adeptness, and record of success make us your ideal legal partner. We are established, yet agile, and are always mindful that your legal problem is the most important one facing you. Our team takes each step of your legal journey alongside you, keeping you fully informed in a timely fashion. You can expect regular updates, with immediate contact on significant developments. Some of the largest insurance companies in America call on us regularly to represent them and their insureds in Western New York courts on a variety of legal matters from general liability to auto, products liability and property claims at the trial and appellate levels. Before our lawyers set foot in a courthouse, they review every option for resolving disputes without going to trial. When our clients’ interests are best served by a trial, our lawyers are well equipped to represent them. Our wealth of trial skills allows us to provide you with the best results possible. From complex business matters to catastrophic personal injury cases, we offer our clients a wide spectrum of legal services with a focus on personal attention and zealous — but cost-effective — legal representation. We have built a tradition of successfully representing individuals and businesses throughout New York State on our dedication to responsiveness, efficiency and keen commitment to our clients’ causes. For well over a century, thousands of our clients, from international Fortune 500 corporations to small businesses and individuals, have called on Chelus Herdzik Speyer & Monte PC to represent them throughout New York State. We stand ready to commit our resources and experience to serve your legal needs. We’ve been looking forward since 1896 — over a century of experience working in your favor. This is an attorney advertisement. Any information obtained from this website is not intended as substitution for legal advice from an attorney. You should discuss your case with legal counsel.